You’re on Facebook–congratulations. But many businesses make the fatal mistake of thinking social media begins and ends with Facebook, and never really bother to look beyond those borders. Chances are, if your followers are active Facebook users, then they are also avid users of other forms of social media, including but not limited to: Instagram, Twitter, Pinterest, LinkedIn, Tumblr, etc. Facebook gets the most traffic, at close to one billion users a month, but you can’t turn your nose up at Twitter either–it gets over 300,000,000 (300 million!) unique monthly visitors. If you’ve put all that effort into crafting fantastic content for your Facebook page, doesn’t it make sense to make sure it gets seen across the widest spectrum of social media possible? Embed your Facebook posts in your business website. Visitors to your site can read your post onsite and then redirect to the Facebook page to see and engage in the comments on the post. 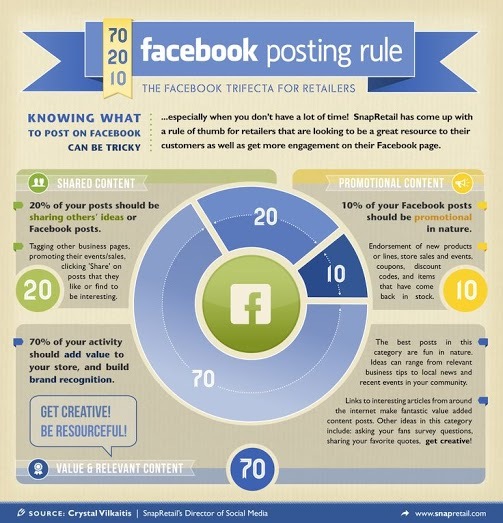 While there, they will likely “like” and subscribe to your Facebook page. Install social media sharing buttons EVERYWHERE, but especially on your website posts. If you run a blog (and yes, you really should be running a blog on your business website), then install a plug-in such as Jetpack which allows to simultaneously publish your post to Facebook, Twitter, Tumblr, and whatever other social media accounts you use–all at the touch of a single button. Ask an engaging question at the end of each guest post to encourage comments and increase the guest page’s social media rankings with Google. Don’t forget to include a brief sentence at the end of the post saying something like, “This post was brought to you today courtesy of [insert your Facebook page name here].” Depending on the size of the target audience, this could net you hundreds, if not thousands, of new Facebook likes and subscriptions each week. People often get stuck on the number of Facebook “likes” as an indicator of success–but beware of this. 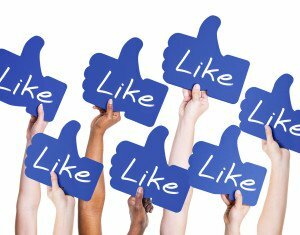 Liking a Facebook page is a shallow indicator because it requires no real engagement on the part of the follower other than simply pressing the Like button. “Shares,” on the other hand, are a real indicator of how good and engaging your content is, because the act of sharing a post takes more effort and is therefore a good sign that your followers will go the extra mile for you. Creating shareable content is often a shot in the dark because it is not easy to predict what people will find interesting, emotive, engaging, or fun on any given day. Think of the average Facebook user as a fish in a massive shoal of fish–weaving and changing course in a seemingly random pattern. What is known, however, is that the more shares a post has, the bigger the chance that the entire shoal of fish moves towards it. 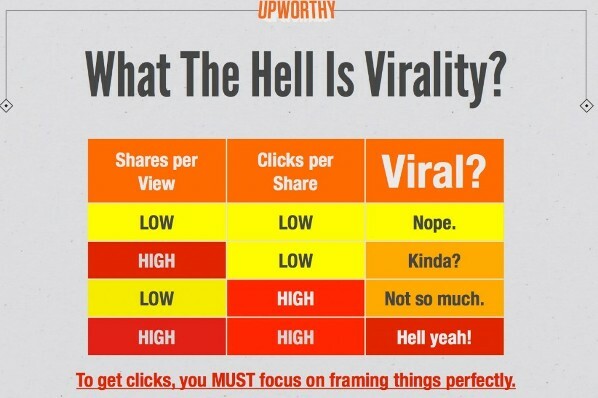 So, how do you create shareable content, if it’s such a shaky science? Although nothing is guaranteed, here are some practical tips. Contain numbered lists or points. Feature mixed media content–videos, pictures, polls, quizzes, etc. Content posted on Facebook doesn’t have to always mean text; in fact, the more mixed in format your posts are, the more attractive they will be to Facebook users. 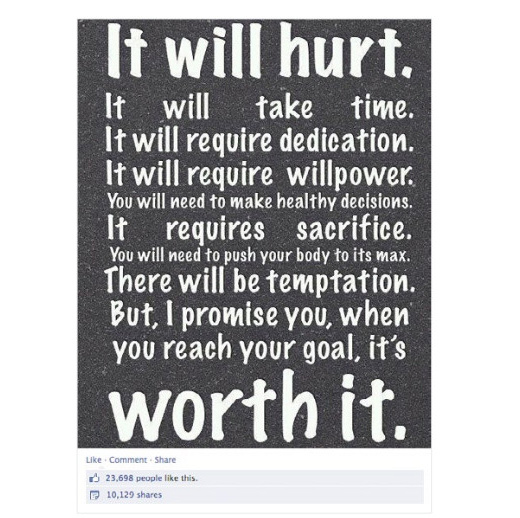 A Facebook post that shared this simple jpeg image got over 23,000 likes and over 10,000 shares–now those are stats to turn any business green with envy. In short, make people feel good, or share something so universal that it strikes a chord, and you have your opening hook to drag thousands of potential followers back to your Facebook page. Let’s not forget what Brian Carter says about the act of sharing a post, in that it indicates that the user is proud to share your content with his/her entire circle of friends, family, bosses, etc., and that the content is saying something important about the values or beliefs or the interests of the person sharing it. In this vein, stories or posts that are engaging, newsworthy, and reflective of positive values do well on Facebook. The trick is in finding that balance. Research done by The New York Times, called “The Psychology of Sharing,” found that 73 percent of people share Facebook posts in order to process and absorb the information in more depth, 49 percent share in order to influence and inform others, and 94 percent share a post in order to help. This suggests that learning and self-education is a huge factor in why we share Facebook posts or pages–we like to learn, and we like to help others to learn. Businesses can draw in many B2B Facebook followers by creating and sharing informational content that will help the industry in some way, or prove useful to its participants. Find out what the pressing needs and questions are in your area of business, and create posts and articles that answer them. Promote your Facebook content with other businesses in your sector by leaving comments on their pages, or hosting a guest post spot on their pages (with their permission) to talk about your post and the questions it answers. 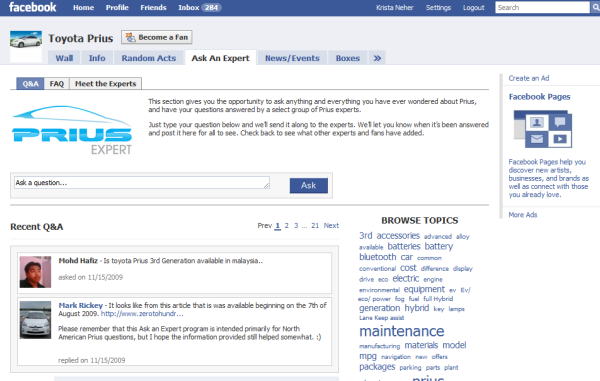 Host a Facebook Q&A session and invite other industry members to participate. After the event, post and promote a link to the session to catch all those who didn’t turn up for the event. Promote links to your content across all your other social media accounts to push as many people as possible back to posts on your Facebook page. Provide a permanent section on your Facebook page aimed at being an informational resource for your customers and followers–answering questions, finding information, passing on helpful tips, tagging partners, and so on. In Facebook technical terms, make this help/Q&A section a “pinned post,” which means it will be pinned to the top of your Facebook page and will always be visible. If you look closely at the question section, the ever-helpful Prius rep has answered a question from a Malaysia citizen in a thoughtful manner, even though the page was originally set up as a learning resource for the company’s North American customers. Responses like that garner loyalty. 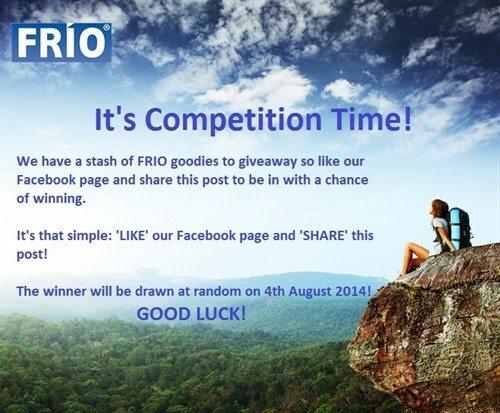 One of the most effective ways to get Facebook likes and shares is to offer a competition or coupon offer that is available only to those followers who like/subscribe to your page, or perhaps share an important post (perhaps the competition announcement post itself). Everyone likes competitions and the chance to win something, and nobody in this day and age will pass on the opportunity to get a money-off coupon.